You guys are cracking me up! OMG! Thanks for pointing that out KittyKill! I totally didn't mean to do that! 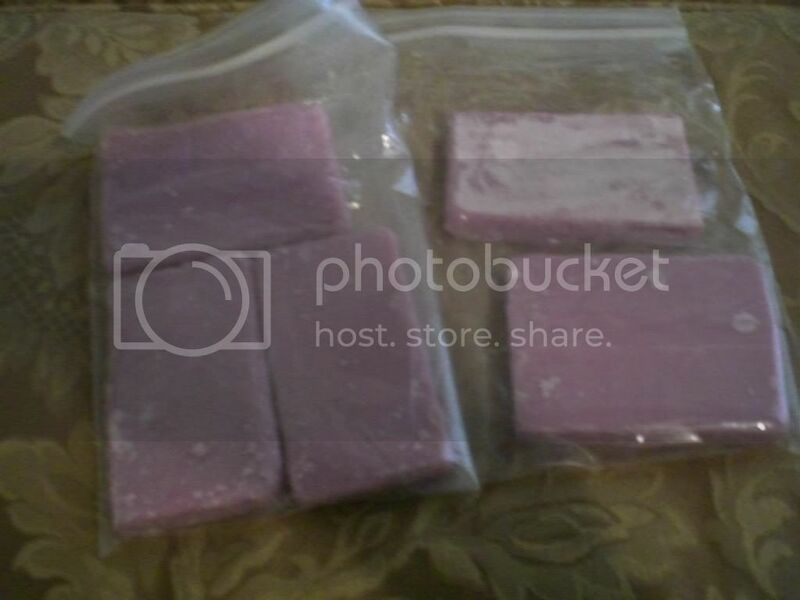 MY ETSY STORE IS NOW OPEN!!! It's all Dulcinea-she did it . I'm kinda nuts but really sweet! Yes, I only send the cute smiley ones. The others are banished to the Island of Misfit Toys. LOL! I just spit tea on to the screen! Oh the visual image my mind conjures up is just disgusting! Hey, at least I didn't spit it on the client that was infront of me. If you haven't grown up by the time you're 30, you don't have to! man, i must be pretty powerful to be mucking up other people's pictures like that!! it's really cool.... so all my bamboo DPNs are safe in their own book! then, she reconned a sweater - check this out - she felted it, it's amazingly soft... then did her thing with the scissors, and made the sweater into more of a vest, made a center opening where there wasn't one and added a great button..... i love this vest, cause i'm always cold! and then, because i like dragonflies, added some pink sheer dragonfly fabric with shiny silver dragonflies! Taking a break from swaps to get some stuff under control. Email if you need me. I got two packages in the mail a couple days ago, but had to get batteries for my camera. 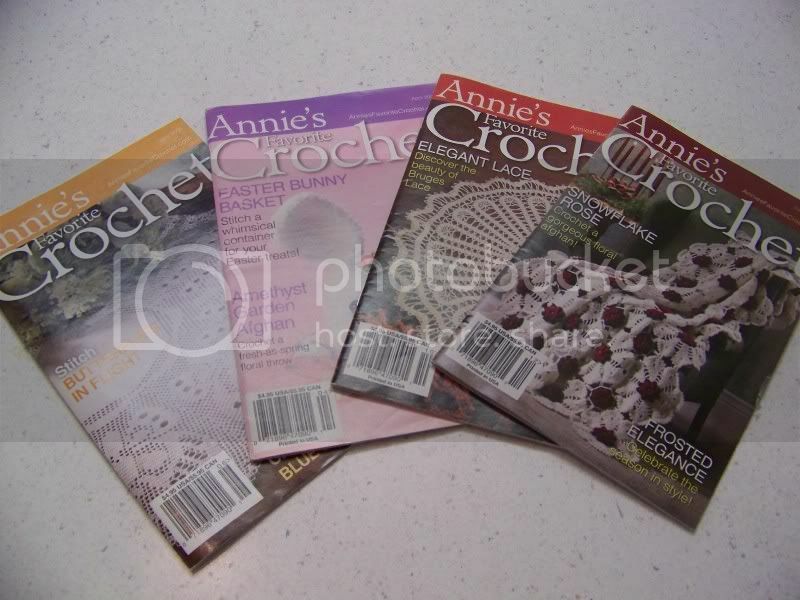 Homerof2 sent me 4 awesome Annie's Favorite Crochet magazines--there are several projects I already want to make! 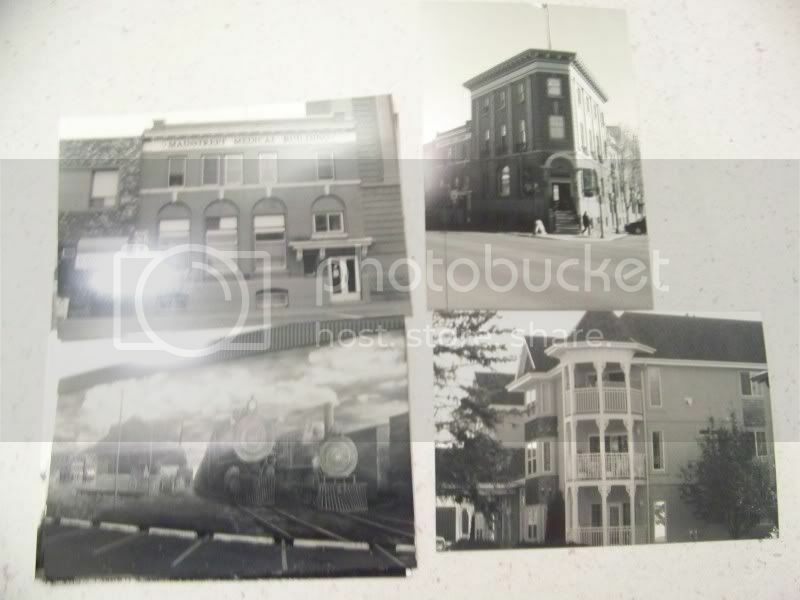 And she also sent me some great black and white pics of buildings and signs--I can't decide if I just want to hang them up or make them into a project...probably some of each! 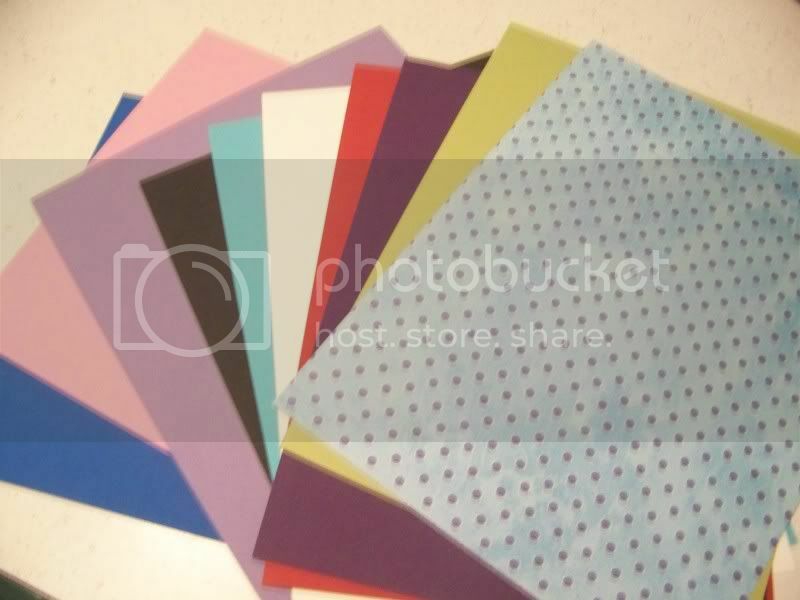 And from CrossStitchinMomma I got some wonderful thick/textured scrapbooking paper in a bunch of different colors! I use this as the inside for paperback novel wallets, and I am so excited to have different colors! Love to cook, have an overflowing pantry, or want to save a little money on your grocery bill? Join the Pantry Challenge Cookalong! Thank you very much for sending!! I love em!! Gluten free gingerbread boys with chocolate pants-these help us survive the Christmas season seeing all the wheat filled sweets! And... some other GF food (the bread mix didn't make it in the picture) and two sweaters. So I guess it was one of those notification emails that I forgot to click on, because I just realized that I hadn't visited this gallery in 2 weeks! I did finally get around to taking pictures, which was the trigger, but I'll save the space since they were already posted. Those gingerbread boys are looooooooooooooong gone, and I haven't decided if the striped sweater will be worn or sacrificed to the crafty gods. Thanks!!! !